A little bit of Esa-Pekka Salonen is better than none at all. And so it turned out this past week with the Los Angeles Philharmonic. The original plan was that the orchestra’s beloved Conductor Laureate was supposed to be at the Hollywood Bowl for two concerts, beginning Tuesday night when he and pianist Yefim Bronfman (long-time collaborator and friend of the orchestra) were to be the headliners in a program of music from Russian composers Tchaikovsky and Prokofiev. Unfortunately, both he and Bronfman cancelled, making his appearance two nights later his only one of the 2014 Hollywood Bowl season. It all combined to heighten the sense of buzz about this concert, and the performers did not disappoint. Ms. Wang played with the combination of supreme technical mastery and musical artistry for which she has become rightly famous. In the Shostakovich, she seemed a little more restrained than usual, likely because it was her first time performing the work and she sometimes relied on her sheet music. She took time to let the music breathe and shaped slower passages with a sultriness you don’t usually hear in this concerto, waiting until the fourth movement to push the pace to the seemingly super-human speed she often displays. Mr. Hooten matched her step for virtuosic step: soulful and almost bluesy one moment, rollicking the next. He displayed a sumptuous tone throughout, combined with a crisp yet smooth articulation in even the most frenetic parts that made his phrasing sound easy. It wasn’t. Mr. Salonen and the rest of the orchestra provided ample support, bringing plenty of their own verve to the piece. It was outstanding. Ms. Wang was even more impressive in Prokofiev’s Piano Concerto No. 1. This time, she played from memory, and it seemed to liberate her. Usually, she sits at the keyboard with an intensity that seems to want to shut the world out. For this concerto, she was notably more extroverted in her demeanor. It looked like she was actually having fun, the Bowl’s video screens even capturing a smile or two as she played. The Prokofiev work is much more dramatic than its Shostakovich counterpart and for the most part, both pianist and conductor seemed willing to let that drama unfold naturally. Again, she waited until the climax to switch on the afterburners, making an already swift flight through the concerto’s finale thoroughly supersonic. The crowd gave a rousing ovation that belied its modest size (attendance was 7,531, well below half the amphitheatre’s capacity). Mr. Salonen opened the evening with a delightful interpretation of the Prokofiev First Symphony, the composer’s nod to the formal Classical style of Haydn and Mozart’s time. It’s a work he has led frequently with the LA Phil. In the past, he sometimes took sharp turns that seemed hell-bent on revelling in the work’s rhythmic and harmonic angularities. On this night, he was content to take a middle-of-the-road approach, neither rounding off the corners nor emphasizing them. It’s hard to imagine that there was a time not so long ago that Mr. Salonen actively avoided Shostakovich’s symphonies. These days, he can be counted on to make a compelling case for them. He turned to the Shostakovich First Symphony, a work that is entertaining even if it’s far from a masterpiece, as the evening’s capstone, and his take was decidedly gutsy and powerful. He conducted it with the kind of probing wit you’d more readily expect from him in Mahler or Stravinsky. 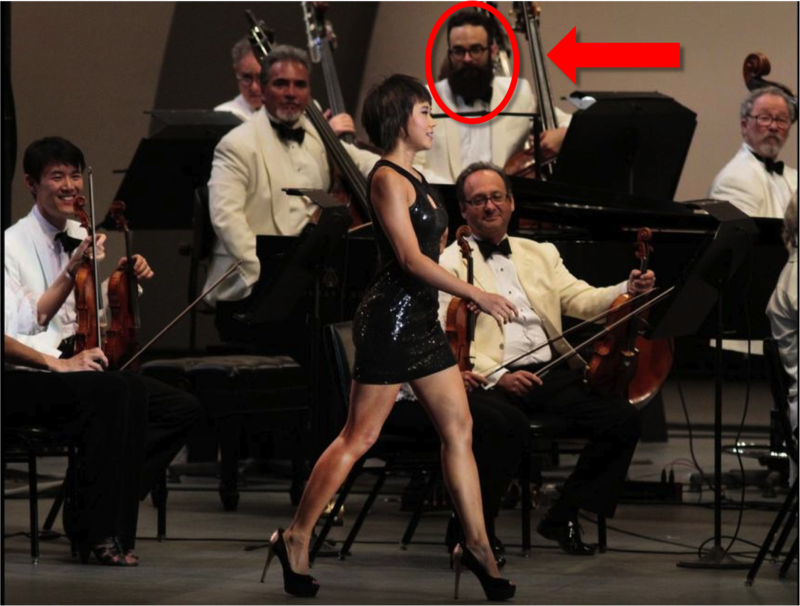 The LA Phil responded magnificently, just as they do whenever he is on the podium. Their ensemble playing was bold and athletic, yet always with a clarity that allowed inner voices, especially the woodwinds — with gorgeous solos by Cathy Karoly (flute), Burt Hara (clarinet), and Whitney Crockett (bassoon) — to shine through. Principal Concertmaster Martin Chalifour, Principal Cello Robert deMaine, Principal Timpani Joe Pereira, and Mr. Hooten contributed notable solos of their own. Considering the limited rehearsal time the summer season affords, it was impressive. Happy to return to @HollywoodBowl, work with @YujaWang for the 1st time. My old band is in great form, such fun to see everybody! Next week, the orchestra goes from one very familiar conductor to another, as Music Director Gustavo Dudamel takes the podium at the Hollywood Bowl for a couple of weeks. While the Shostakovich concerto featuring both Ms. Wang and Mr. Hooten is commonly referred to as the composer’s Piano Concerto No. 1, the work’s formal title describes it as a concerto for “Piano, Trumpet, and String Orchestra.” (By comparison, Shostakovich’s lone Cello Concerto features a prominent solo horn part, yet that particular brass instrument is not included in the title of the work.) This makes the work a duo concerto, albeit one where the trumpet has many more tacet moments than the piano. I’m always disappointed when orchestras treat the trumpet — and/or the trumpeter — as a bit of an afterthought, just as the LA Phil did with Mr. Hooten. He was not listed in the concert’s online program nor in any of the PR material sent prior to the concert. He was missing from the marquee. The printed program lists his name, but without a detailed bio of him as is offered for Mr. Salonen or Ms. Wang. At least they placed him at the front of the stage, just a few feet behind Ms. Wang’s piano bench rather than asking him to perform from his usual seat in the orchestra. Speaking of things missing from the printed program: I noticed that orchestrations and first performances of the works on the program aren’t listed as they have been in the past and as they usually are in the winter season. Similarly, LA Phil recordings of the works on the program (in this case, the Prokofiev Symphony No. 1 under the baton of Andre Previn and the Shostakovich Concerto with Mr. Salonen, Mr. Bronfman, and retired Principal Trumpet Thomas Stevens) are also absent. Wardrobe update: Maestro Salonen SHOCKINGLY chose to eschew the summer’s traditional white dinner jacket in favor of the black Nehru jacket he wears when conducting indoors. On the other hand, Mr. Hooten remained in his orchestral uniform throughout instead of taking a soloists prerogative of wearing something different. . . . Oh yeah, Ms. Wang walked onto the stage wearing something predictably attention grabbing to perform the Shostakovich concerto — in this case, a black sequined microdress with 4″ black stilettos. What was less predictable was that she changed outfits during intermission, choosing for the Prokofiev concerto a long, turquoise number that was designed by Atelier Rosemarie Umetsu with cutouts and hip-high slits, though (gasp!) she chose to wear the same shoes from the first half. Speaking of appearances, something must be said about bassist David Allen Moore and the fact that he looks pretty much nothing like his official PR photo taken a few years ago. While he’s been nursing a beard for a while now, during the past year it quickly blew right past hipster territory to become whiskers of such volume and majesty that it would make a Civil War general jealous. Bravo, Mr. Moore. Tags: Atelier Rosemarie Umetsu, David Allen Moore, Esa-Pekka Salonen, Hollywood Bowl, Prokofiev, Shostakovich, Tom Hooten, Yuja Wang. Bookmark the permalink. RE: program notes. I think the practice of leaving off what you and I both think are pertinent and interesting points of information has been going on for a couple of summers. I don’t know why nor do I know why the information is usually in the winter programs but not the summer. FWIW: I think that the LA Chamber Orchestra does the best job locally in program notes. Totally agree with you about LACO’s program notes, especially with regards to the detailed history of the orchestra’s performances of each piece on a given program. A little too kind perhaps, but a very nicely written review. Correct me if i am wrong, but i think it was Jim Wilt who played the first trumpet part in Shostakovich’s First Symphony in that concert. The time when “Mr. Salonen actively avoided Shostakovich’s symphonies” must have been way back during the previous millennium, because he started this one by programming all fifteen of them over several LA Phil winter seasons, and conducting most of them, including the First, himself. 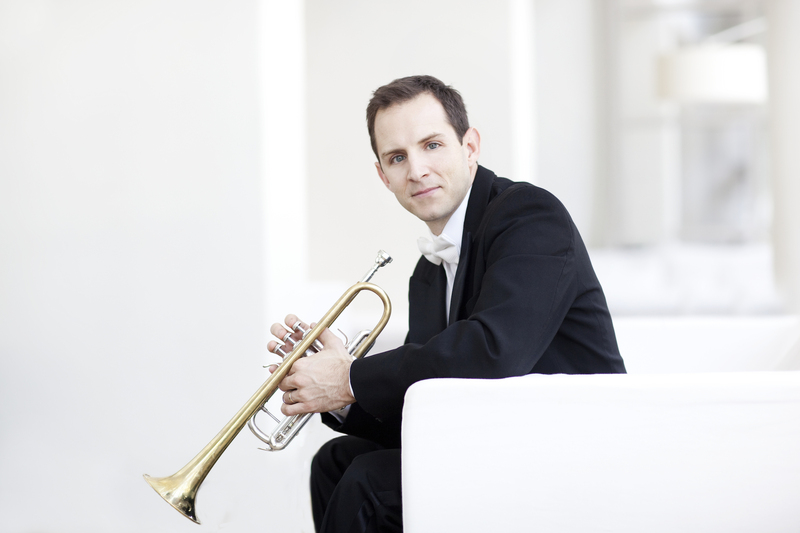 Mr. Wilt played 1st trumpet for both Prokofiev works, but Mr. Hooten did, in fact, play on both Shostakovich works. The principals list from the orchestra’s PR folks agreed with me. Of course, both my observations and the PR list could be wrong . . . I attended many of the concerts of that 5-year cycle back played at DCP, including the weekend where the 1st was played. I remember when the cycle was announced that it was notable specifically because E-PS was so dismissive of Shostakovich previously (I used a 1987 quote from him HERE). Later, I thought it was noteworthy that after conducting all of symphonies on the calendar each the first two years (#s 1-6), he only conducted one each of the following three years (9, 10, and 14, if memory serves) even though the original plan was for him to conduct the whole cycle. I wondered if the plan was too ambitious, he was losing interest, or a little of both. If you clearly saw who played the part with your own eyes, then i am convinced. Great write-up, CK. Ms. Wang was radiant in the Prokofiev, ably modulating between the different “emotional places” that were required, allowing us to be part of her inner dialogue. Agreed that having the sheet music was a bit distracting, though the conversation between her and Mr. Hooten was sympatico. Mr. Salonen directed with confidence, though it seemed to me he enjoyed the last couple of pieces more than the first (a bit reserved, I thought, even for a “classical” symphony). CK, is this turning into a fashion blog? 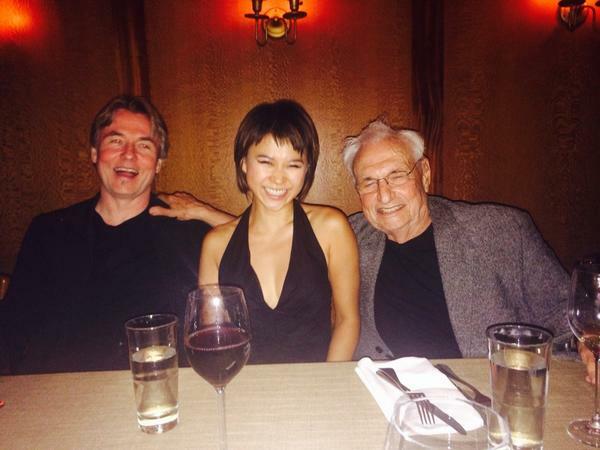 🙂 What with the comments on Maestro Salonen, Mr. Hooten and Ms. Wang’s sartorial statements of the evening, you could’ve fooled me! Thanks, AR. You know, “All is Yar” was always intended to be partly about “style” (I prefer the term over “fashion”) — hence the inclusion of that category in the list of Links to other blogs. I just never found much time to write separate posts about it — the music, scotch, music, wine, music, beer, food, and music keep getting in the way — so I sneak it in whenever I can get away with it — and even when I can’t.